Thank you for taking time to read my profile. Please note that it can take up to 24 hours for your assigned therapist to respond to you the first time. However, rest assured that I do respond to new clients just as soon as I can! Also, it is my experience that weekly live sessions are the most effective means to progress in therapy. Therefore, if you would like to only exchange messages with your therapist and not do any live sessions I would not be the right therapist for you. 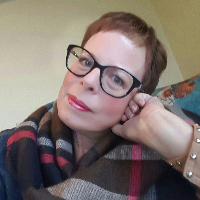 ABOUT ME: I'm a licensed psychotherapist (California) and certified telemental health specialist with over 25 years experience in the counseling and coaching fields. I'm also an author, educator, and conference speaker sharing on the topics of mental / emotional health and well-being; relationship issues; codependency; attachment trauma; recovering from childhood emotional abuse; workplace / career issues; and dysfunctional family systems (including alcoholic family systems). My past experience working in mental health clinics and teaching at a well known university in Palo Alto as Core Faculty, along with having my own private practice for the past 12 years, allows me to be comfortable helping individuals of all ages and from all walks of life with their personal and/or professional issues and challenges. I have found online therapy to be a great way to support clients in the process of gaining the insight and self-awareness needed to make different choices so as to truly transform their lives. MY APPROACH WITH CLIENTS: While therapy can indeed help you to gain new insights and increase your awareness, it is also important to integrate these new awarenesses into your everyday, ordinary life so that meaningful transformation can occur. In our work together I will help you to identify ways of being that are keeping you 'stuck', including current behaviors that may be causing you to re-create painful situations from your past. At the same time, I will be inviting you to explore and experiment with new behaviors that may serve you better today. You will also learn how to make healthy, empowering choices that are aligned with your values, which will allow you to create a new reality / life story based on who you most truly are. MY THEORETICAL ORIENTATION: I will meet you where you are, find out where you want to go, and do all I can to help you to get there. My holistic focus means that we will explore your physical, mental, emotional, social, creative, and spiritual well being as we actively engage in the therapeutic process. Given my orientation is eclectic, I may draw from a variety of theories, including psychodynamic and attachment theories, Jungian theory, and gestalt approaches, emotionally focused and cognitive behavioral therapies, family systems, positive psychology, interpersonal and narrative therapies, and somatic therapies. I am also very comfortable working with clients who aspire to live by their religious and/or spiritual beliefs. *Please Note: Any reviews, either video or typed, that are visible on this profile page have not been solicited by me, but were solicited and posted by the Betterhelp team without my knowledge or participation. It's been a wonderfully productive experience working with someone so knowledgeable as Rebecca. I couldn't be in better hands. I have had a few sessions with Rebecca so far and I am already so glad I began working with her. She was very helpful from the beginning and I continue to learn new things about myself in our discussions. I am so happy that I got paired with her! I enjoy having Rebecca as my therapist on the Betterhelp network. She is incredibly passionate about her role as the therapist and brings such a light and beauty to her practice and our sessions. She understands all of my needs and has excellent skills in providing me with tangible feedback and advice that I find incredibly valuable. Since our pairing, I have been able to move past a lot of my interpersonal obstacles and have grown a more hopeful approach to my everyday mental health. Rebecca was my saving grace at the time we found each other and I am incredibly grateful each and everyday. If it wasn't for her, I would have left BetterHelp and wouldn't have continued my journey through change. She is the real deal! Rebecca has been a wonderful resource for me. She has helped me identify and prioritize a few areas in my life to focus on and we've begun working on them immediately. In just a short amount of time, she has been able to win my confidence and I'm excited about the road ahead. Only have had three sessions so far but very impressed. Rebecca is very engaged and extremely responsive with the messaging. I feel like a top priority and it's as if I'm her only client (even though I know I'm not). I've been so happy to have been linked up with her! I have been in need of therapy for quite some time but my schedule with work and school has not allowed for it. When my friend suggested betterhelp I knew it would be great for me, but I had no idea how great my therapist, Ms. Mandeville, would be. She listens and understands the places I'm coming from, and not only that but she uplifts and encourages me. I know that having her as my therapist is really going to be essential in my life, especially as I go into college and experience the changes of becoming an adult. I am so grateful that I was paired with her and I cant wait to see where our work takes us. Rebecca was great at tuning into exactly what was going on with me at the time I contacted her. Very quickly I was able to try some of her 'tools' and techniques in the real world to get rolling on other parts of my life that I felt were being held back. I highly recommend her. Rebecca is incredible. We’ve only started working together this past week, but she’s already been so responsive and helpful. It’s clear she has a deep expertise, and she does a great job of sharing both theory and helping me take direct action. I feel so lucky to have connected with Rebecca, and look forward to continuing to work together through my growth and healing journey. Would you like to write a review for Rebecca Mandeville? We'd appreciate if you can spend a couple of minutes to write a short review for Rebecca Mandeville (MA, MACP, LMFT). This review would be shared with Rebecca Mandeville. It may also be posted in our website or in Rebecca Mandeville's profile but it would be anonymous and your identity would be kept completely confidential.